The United Republic of Tanzania is located on the east coast of Africa. It is bordered by Kenya and Uganda to the north, by Burundi, Rwanda and the Democratic Republic of Congo to the west by the Indian Ocean to the east and Zambia, Malawi and Mozambique to the south. Mainland Tanzania is divided into several clearly defined regions: the coastal plains vary in width from 16 to 64 km, equipped with lush tropical vegetation, the Maasai Steppe in the north between 213 and 1 067 m. and finally a plateau in the south towards Zambia and Lake Nyasa (Lake Malawi). Savannah and bush cover over half the country and a semi-desert vegetation covers the rest, except the coastal plains. The inland areas covering over 53 000 km², primarily in the form of lakes that have formed in the Rift Valley. The United Republic of Tanzania is composed of islands of Zanzibar, Mafia and Pemba, located about 45 km from its coast, in the north-east. 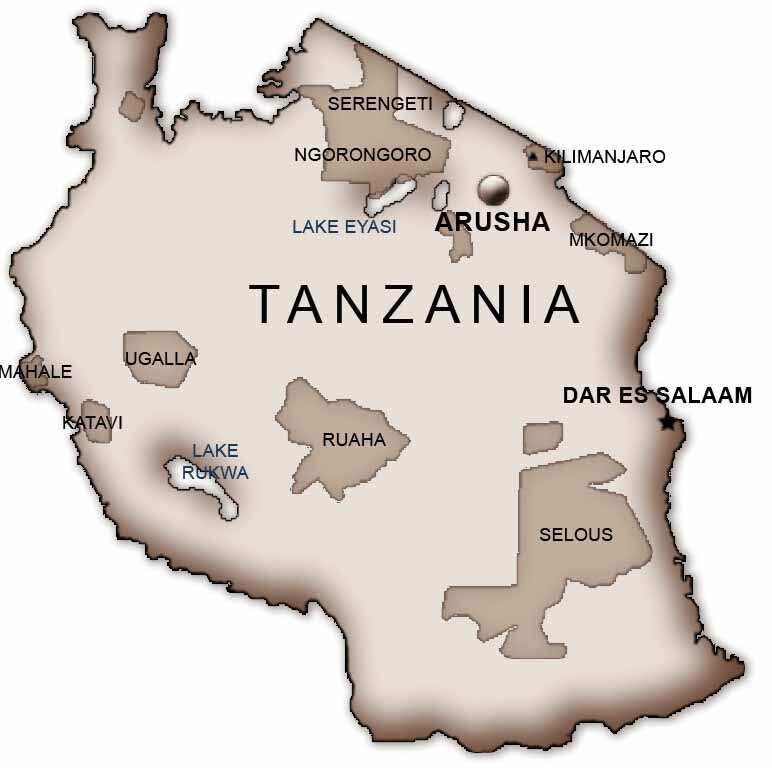 Tanzania covers an area of 945 100 sq km, or 1.7 times Great Britain. The capital is Dodoma (administrative capital) since 1990. Dar Es Salaam is the economic capital. The GDP is about 9 billion U.S. dollars. Tanzania remains one of the poorest countries in the world with an illiteracy rate of over 30%. Since the 2000s the growth took off after several decades during which it stagnated around 0 to over 5% per year.